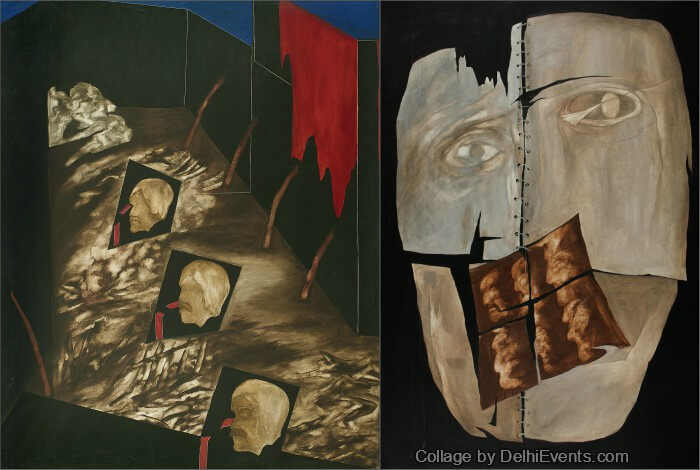 Event Description : This January 27th DAG will be opening to public its latest exhibition of work by the acclaimed figurative artist - Altaf Mohammedi. An affable, well-read artist trained in London, Altaf nevertheless chose to align his work to a Marxist political ideology in which he was completely invested. Not only did he take his work to the Matunga Labour Camp and to slums in Bombay, he worked with mobile crèches, printed counter-revolutionary posters with his wife Navjot and their friends in PROYOM (Progressive Youth Movement), and refused to consider his visual practice from a perspective based on aesthetic alone, instead preferring the more deeply thought and felt arising from a level of intellectualisation rare in Indian art at the time. The exhibition, which includes his works from the 1960s onwards, mirrors his concerns while articulating his own position. Yet, the question we must ask is where one places Altaf and his work in the history of Indian modern art. Several scholars have attempted to answer it in the accompanying book with essays by Nancy Adajania and Sanjoy Kumar Mallik; interviews by Navjot Altaf of those who knew the artist well: Jitish Kallat, Vivan Sundaram, Anand Patwardhan, Mariam Dossal and Narendra Panjwani; and Zasha Colah’s interview with Navjot who unravels known and unknown facets of the artist’s life, work and milieu.